Very strange what the quartet from New York is presenting on its debut. Their music is a combines late 60s psychedelic rock with post rock arrangements and noisy breaks, crowned by the very impulsive vocals of a singer with a distinctive German accent. The vocals have a highly dramatic appeal and remind me of Siouxie. The opener First Crimes is very noisy and complex, with retro guitar lines. 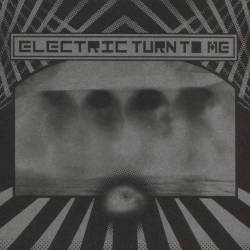 ETTM are using no bass guitar and the organs are responsible for the psychedelic parts of the bands. Absolute highlight of this EP is Watch Out For The Witch, a theatrical song which could also be featured in a rock opera. Listen to it several times and it won't go out of your mind anymore. Nightvision is a calmer song on which singer Silke prefers moaning instead of screaming. Although the vocals are recorded in a very lo-fi way, this surely is the most melodic pop song on this record. Ride The Wave is the most retro song on the CD and I dare compare singer Silke to the legendary Dagmar Krause (Slapp Happy, Henry Cow) or even Nico. This is much more than just a promising debut. Fans of unusual indie rock will adore this twisted band from America's capital of culture. I'm really looking forward to their next output.